Climate change has a major impact on natural environments today and particularly in the future, but from a human point of view it is above all a social problem. Humans have caused climate change together and it can only be solved through international cooperation. Individual consumer choices matter, but much more important are decisions on energy resources and regional planning, among others. Therefore social studies play an important role in learning to understand climate change in-depth and building a climate-friendly world. Climate change is a scientific fact and climate scientists strongly agree it is due to human activities. Epistemological views can be helpful in learning to understand climate change on a deeper level. The difference between the natural sciences and social sciences lie in the nature and object of knowledge, which has caused confusion among social studies teachers. Complexity of climate debates can be due to an incapability to understand this difference. A critical social scientist is careful not to believe in one particular approach alone, but rather put emphasis on the context, values and interests. Climate change has significant social causes and consequences, which can be the reason why results of climatology are often seen to have closer links to values than they actually do. However, natural science focuses on facts and aims to produce unambiguous facts about the research topic. The findings of climatology are based on observations and measurements reflecting changes, and critical observation typically leads to a logically accurate conclusion. For example, rising sea levels, warming seawater, the Earth’s atmosphere, ocean acidification, melting mountain glaciers and other changes in climate are not matters of opinion. Instead, there are all kinds of opinions about climate politics. Evaluating and choosing the right political strategies and alternatives, depends on values, perspectives and context. It’s good to question who benefits from which decisions, what is justified and what actions are necessary? To understand climate change in-depth, it is important to keep in mind how the criteria of scientific knowledge vary from discipline to discipline. Current climate change is due to a human expansion of the greenhouse effect, and scientists have understood its mechanisms for almost two hundred years. French physicist Joseph Fourier used the word for the first time in 1824. He suggested that the Earth’s atmosphere might form a barrier against solar radiation, which reflects the heat energy away into space, and therefore acts to raise the planet’s temperature. A few decades later, in 1896, Swedish chemist Svante Arrhenius suggested that the burning of coal was accelerating natural climate change. Yet he found this prospect beneficial for humankind. Since the 1960’s, climate change has become a more serious scientific interest, since there have been more signs of a changing climate and scientists have started to understand its urgent nature. The United Nations’ Environment Programme UNEP and the World Meteorological Organization WMO held the first climate conference in Geneva in 1979, and in 1988 WMO and UNEP founded the Intergovernmental Panel of Climate Change (IPCC) to support decision-making and provide the world with an objective scientific view of the topic. Since 1990, the IPCC has published a comprehensive assessment report reviewing the latest climate science every six years. The IPCC does not carry out its own original research, but bases its assessments on published studies. Scientific information of the impacts of climate change and the human contribution to it have become more specific over time and the IPCC reports are cited widely in almost any debate about the topic. According to current knowledge, stopping climate change is not fully possible. Greenhouse gas emissions resulting from human activities will remain in the atmosphere for hundreds of years warming the globe even if there would be no new emissions. However, climate change can be slowed down enough to avoid catastrophic global warming. Although the consequences can already be seen all around the world, the major changes will take place later in the future. Their scale depends on the decisions we make today, so climate change mitigation is very much about the politics of the future. Fine-tuning our lifestyle is not enough; rather we need a large-scale social change. Although this may sound impossible, we should remember that society is in constant change and that big changes take place all the time – sometimes through force of circumstances, sometimes through common efforts. Decisions we make now affect our future. Predicting future events accurately is impossible, however there are helpful forecasting signs from various signals and their volume, for example, through trend analysis. Trends are current phenomenon that may continue to operate in the future. They could also be called “tendencies”, “movements” or “patterns of change”. Trends have an impact on choices, taste and values. Megatrends are large changes shaping the future. They have a long-term clear direction. Current megatrends include environmental degradation and climate change, technological innovations and increasing globalization. Due to its massive scale, in some contexts climate change can be labelled a “gigatrend”. Although we constantly create the future through our own actions, we are good at brushing difficult issues under the carpet. Slowly progressing, invisible and distant problems are easy to brush aside, and pursuing individual self-interests often feels more convenient than addressing the interests of future generations. In economics, future costs and gains do not have as much value as current ones, and many incentives such as the earnings season encourage short-sightedness. Short-sighted decisions are also made out of ignorance and uncertainty. Codifying the rights of future generations within national constitutions, as has been done in many countries, can help to protect them. Industries and businesses can be obligated to provide estimates of the long-term effects of their decisions beforehand, for example, by estimating the total amount of greenhouse gases emitted over the lifetime of a coal power station. Youth quotas are a measure that could directly contribute to a number of more young decision-makers. Mitigation should involve attempts to slow the process of climate change at all levels of society. Avoiding the worst consequences requires reforms in economics, taxation, industries, legislation and cultural values. The biggest reforms are needed in energy production, industries, transport, housing and farming. A global shift towards a more environmentally sustainable world will not happen overnight, however many important steps have already been taken: the first environmental treaty was adopted in 1992, the Paris Agreement was negotiated in 2015, and use of renewable energy is increasing so rapidly that it is not an exaggeration to state that an energy revolution is under way. In addition, taking environmental aspects into account has become a normal approach in many sectors of society. Energy is needed in almost every human activity: heating, cooling, transport, lighting, producing goods and using various appliances and machines. Because constant energy production and use play such an important role in the world, energy issues are closely linked to many things including intergovernmental relations. Decisions political institutions make based on their priorities in energy use and production is called the politics of energy. It includes legislation, taxation and the arrangements that guarantee energy supplies, such as regulation of production, control, distribution and consumption of energy. Goals and methods in energy policy have varied over time depending on political views and cultures, power structures among political parties, economics and technological developments. Foreign policy is a plan of action adopted by one nation in regard to how it interacts with other countries. It aims to advance security, economic welfare, the country’s national goals and ideological objectives. In a world where energy issues are so closely entwined with all areas of life, foreign policy, politics of energy and climate politics are inextricably linked. In addition, geopolitics, meaning the influence of geography on global politics, is also related. Managing Arctic oil and other natural resources has become a central issue in the geopolitics of climate change. It has raised important questions, such as: how energy self-sufficient are nations, and is it possible to increase self-sufficiency? Where should or could a nation buy energy and what is the future of these prospective trade relationships? What kind of power dynamics are linked to energy issues? Significant fossil fuel reserves are located only at certain places on the Earth. However, the entire world is reliant on oil and this has enabled oil exporters to maintain control over other countries. Oil prices and global economics are closely linked, so oil producing countries are doing their best to control the amount produced and the price of oil. Environmentally speaking, even a periodic reduction in oil consumption is good news; however, escalating issues related to petroleum supply cause problems in economics and therefore a sudden rise in the price of oil or a decreased supply is called an oil crisis. Availability of oil is dependent on supply and demand and the producers’ willingness to sell. Limitations in the availability may be due to a producers’ reluctance to sell, conflicts, or natural disasters in the production areas or transportation routes. Furthermore, current deposits of oil are being depleted. 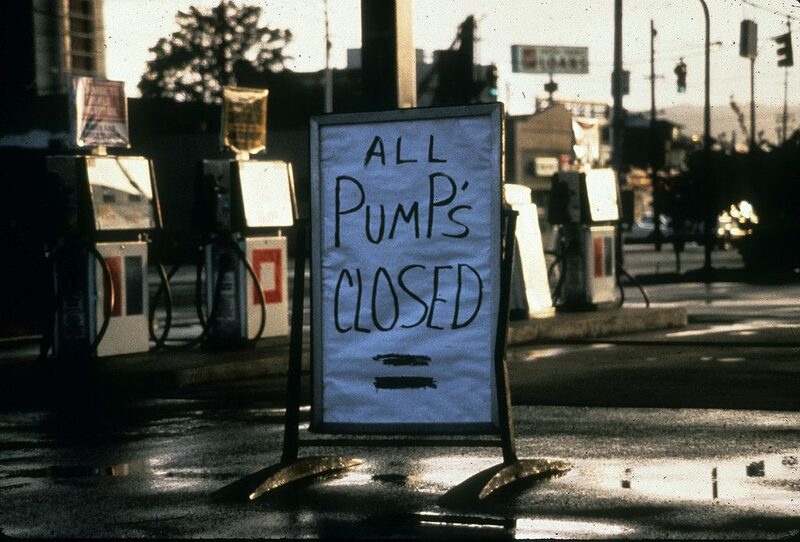 According to observers, peak oil – the point in time when the maximum rate of extraction of petroleum is reached, after which it is expected to enter terminal decline – has already occurred or will occur shortly. Finding alternative energies plays a crucial role in today’s energy politics regardless of climate change. Climate change debate is often focused on blaming and justifying: Who has caused climate change? Who is most responsible? Western culture? Americans? Chinese? Bankers? Politician? Businesses? All of us? It is certain there is no one single guilty party but rather all humankind is to blame. Inventions that have boosted our wellbeing and eased our daily life have quite imperceptibly, and without us seeking to do so, accelerated climate change. We live in times when an ordinary Western lifestyle, even without excessive consuming, produces excessive amounts of greenhouse gases. The most significant greenhouse gas emissions in regard to individuals come from housing, transport and food. Often those who are concerned about climate change are being told that switching off the lights, recycling food waste and driving less would save the planet, although there are more effective ways to make a difference. Our lifestyle choices have an impact – either by increasing or decreasing our personal carbon footprint. Emission levels depend on the size of our home, energy sources and mode of transport. Other significant factors are our level of spending and consumption, as well as the amount of waste we produce. 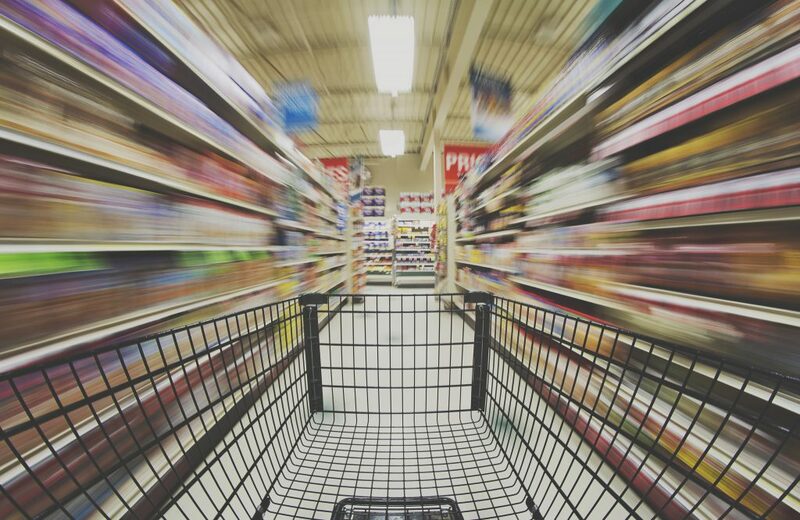 Although individual choices do matter, it is not realistic or even possible to offload the responsibility of solving climate change onto consumers only. Society and its structures set a framework for our choices and we need to change it to achieve a more sustainable lifestyle. Essentially, it would be sensible to make environmentally friendly choices available to all – for example, to present renewable electricity as the default option. Individuals would have to choose if they would rather like to have electricity from non-renewable sources. Another strategy would be that meat would only be consumed on special occasions, like how it was in the pre-industrial era. Instead of offering company cars, employers could encourage their staff to use bicycles through cycle schemes as well as boost cycling by creating bicycle-friendly, well-planned cities. However, it is not realistic or even possible to shift the responsibility of solving climate change onto society in general or “others”. Besides being consumers, we have many roles in society i.e. we have our jobs, families and hobbies, we might be involved in politics or with organizations, and in all these fields we can make a difference. Furthermore, we should keep in mind that social change requires active people who do what needs to be done, and decision-makers who believe in change. At the root of social change are individuals who have confidence in their beliefs and actions. Therefore, we should find ways to promote sustainability not only in the supermarket but also at work, in school and in our spare time. We might also want to get involved in politics by joining a political party, campaigning or becoming involved in pressure groups. Active citizens will solve climate change. The climate should not be the only motivating factor for making environmentally friendly choices seeing as they also improve our quality of life; for example, giving up coal results in better air quality and improved health, investments in renewable energy sources create new jobs, improve energy self-sufficiency and decrease future risks related to the use of fossil fuels. Although climate change is a scientific fact, it is hard to predict its rate. Different global emission scenarios describe how greenhouse gas emissions could evolve in the future. They also help to estimate the amount of carbon dioxide emissions and other greenhouse gases in the atmosphere. However, uncertainties in climate models and emission scenarios are one of the main reasons why predicting future climate is so difficult. There are many factors contributing to the amount of greenhouse gas emissions, which makes it impossible to project accurately over a longer period of time. For many decades, the climate change debate was focused on mitigation i.e. tackling or slowing down global warming. Because the consequences and impacts of climate change cannot be fully prevented, adaptation is necessary. Along with mitigation, it is an important part of today’s climate politics. It refers to anticipating the adverse effects of climate change. Generally speaking, adaptation refers to the social change resulting from both mitigation and adaptation. It seeks to reduce the vulnerability of societies and communities to the effects of global warming. Well-planned adaptation consists of appropriate actions to prevent or minimize the harmful impacts of climate change, as well as take advantage of any opportunities that may arise. 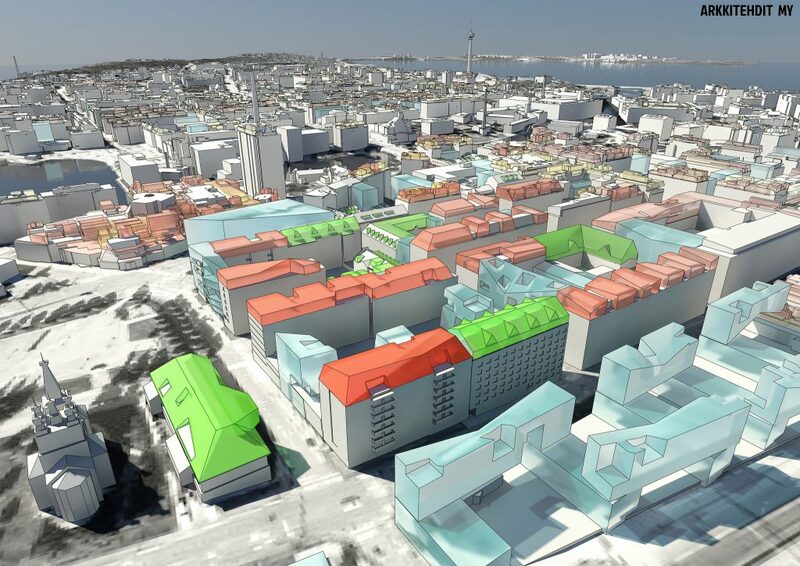 It can include technical solutions, such as adapting buildings to climate change. Adaptation can also consist of examining vulnerabilities and potential opportunities at the workplace and in one’s specific field. Adaptation can be proactive or reactive. For example, limiting development in flood risk areas is proactive adaptation and typically a great deal more inexpensive than reactive adaptation. Reactive adaptation may be needed in the case of unpredictable weather events, such as storms or heavy rainfall. Often adaptation responses start with surviving extreme weather and then recognizing vulnerability. Reactive adaptation can refer to the response and activities of the emergency services to reduce damages in extreme events. Climate change implicates a broad range of actors across several levels of governance from local to global. The following chapters introduce some of them. The politics of climate change revolve around mitigation and adaptation. For decades, climate change was mainly a matter of scientific interest apart from a few efforts introduce it as a political issue, particularly in the late 1980’s. The United Nations Conference on Environment and Development held in Rio de Janeiro in 1992 represents a crucial turning point in raising public awareness of climate change issues. Today, climate change debate implicates a wide range of actors across several levels of governance from international cooperation to municipalities including state bodies and other state actors, civil servants, academic communities, the business sector and activist groups, such as environmental organizations. The following chapters discuss the climate governance of nation-states. There is more information about non-state actors further on in the text. Democracy has been a successful method at dealing with difficult challenges, but climate change differs from these in many ways. Negotiating binding and ambitious limits on global greenhouse gas emissions at international climate conferences is extremely challenging, and often effective climate change mitigation at the national level conflicts with the decision-makers’ interests. Regardless, collective and democratic decision-making about climate change makes sense. When we disagree sensibly and we are not quite sure what matters most, the best way to make decisions is a process that takes into account all the sensible views expressed and guarantees that they are all fairly evaluated according to the rationale they provide. 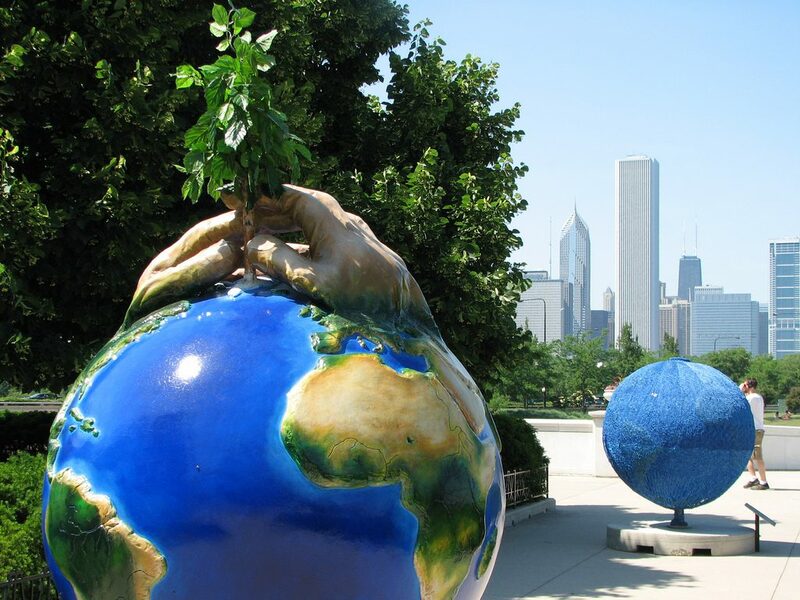 The UN plays a central and active role in organizing climate change action. The first UN conference on the human environment was held in Stockholm in 1972. Climate change was not yet on the agenda, although it was already a scientific interest. The main framework convention on climate change was agreed on at the UN Conference on Environment and Development held in Rio de Janeiro in 1992. The Rio Summit was the starting point for international climate change negotiations and the treaty entered into force in 1994. More than 190 countries have ratified it, and its objective is to reduce atmospheric concentrations of greenhouse gases to harmless levels. The Rio Treaty sets no binding limits for individual countries, but obligations were concluded and established in the Kyoto Protocol in 1997. In addition to set emission targets, it includes mechanisms – such as emissions trading, increasing carbon sinks and Clean Development Mechanisms – to help countries meet the goals. The Kyoto Protocol entered into force in 2005 and it is the first legally binding treaty that commits state parties to reduce greenhouse gas emissions. Significantly, it puts the obligation to reduce current emissions on developed countries. Finland, among other EU countries, ratified the Protocol in 2002. The Protocol’s first commitment period began in 2008 and ended in 2012. The second commitment period (2013–2020) was agreed on in 2012. 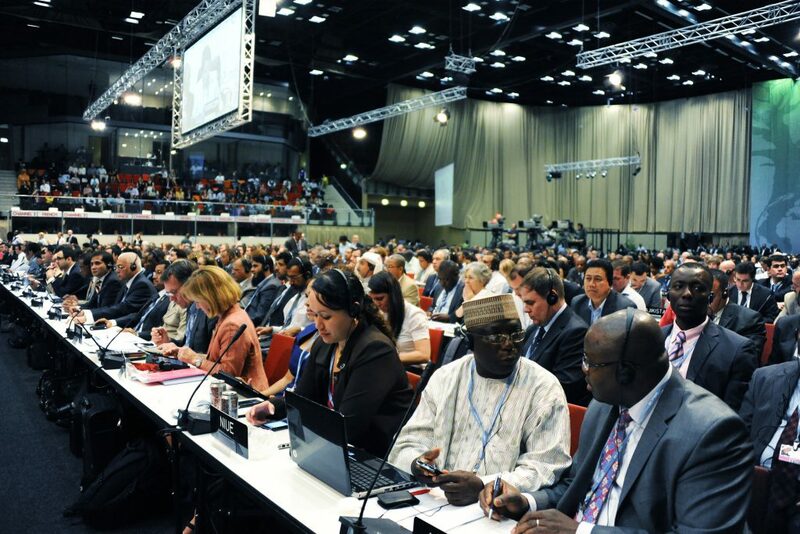 In the 21st century, climate change conferences have been held almost annually since the goal is to negotiate a more effective successor treaty to the Kyoto Protocol. The most significant negotiations include the United Nations climate change conference in Copenhagen in 2009 and the United Nations climate summit held in Paris in 2015. 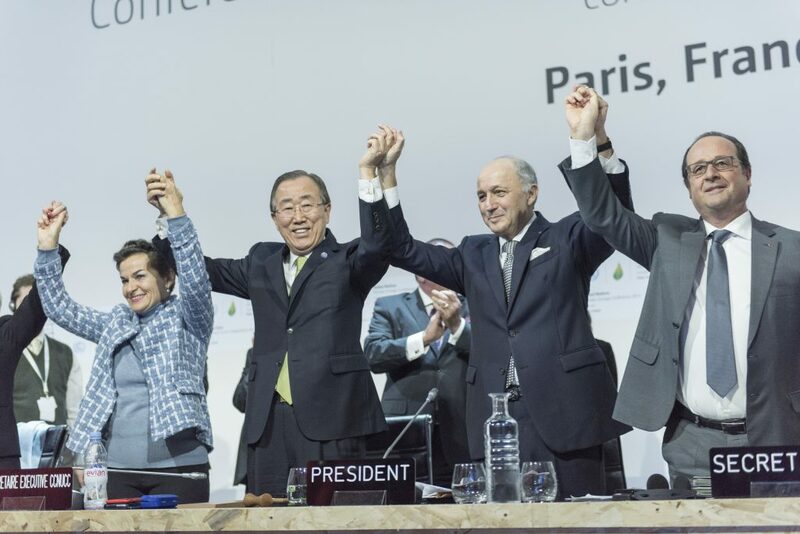 Despite high expectations, the Copenhagen Accord was not legally binding and did not commit countries to agree to a binding successor to the Kyoto Protocol, unlike the Paris Agreement, which enters into force after the Kyoto Protocol’s second commitment period has ended in 2020. In the agreement, each country determinates and plans its own contribution to mitigate global warming. In order to ratify the agreement, each country has to sign and approve it, and then enter it into force through ratification from the ultimate decision-making body. The condition for ratification is that a minimum of 55 countries, which account for at least 55% of global greenhouse gas emissions have to ratify the agreement. The thorny issue of international politics is how to devise a treaty that is comprehensive (many signatories), binding (enhances implementation) and ambitious (goals are set high enough). The deal reached in Paris has been considered comprehensive and binding enough, but many environmental organizations and scientists are less sure about how great will be its impacts. The countries have settled for an ambitious aim but the treaty does not urge countries to do enough to limit the global temperature increase to 1,5 °C, as stated in the agreement. One of the biggest challenges in climate change negotiations is the question of common but divided responsibilities; in other words, what is a fair division of responsibilities between different nations? A financial gap between developed and developing countries can be huge, and therefore different nations have different capacities to respond to climate change. Thus, developing countries call for developed countries to implement large emission cuts and pay compensation to help poor nations improve their sustainability. According to this view, assisting developing countries to adapt to climate change should not be viewed as charity, but in fact compensating them for the damage that climate change has wrought (i.e. climate debt). Under the Paris accord, each country must submit its own plan to reduce emissions of greenhouse gases and address the impact of climate change. However, contributions are nationally determined i.e. in the context of the country’s own national circumstances, capabilities and priorities. In this scenario, developed countries should fund developing countries to tackle climate change and help to report their contributions to emission cuts. Until the year 2020, the EU committed to meet climate and energy targets set up by the Kyoto Protocol and EU’s own climate and energy package. Additionally, the European Commission Roadmap to a low-carbon economy in 2050 contains a binding target to cut emissions in the EU territory. 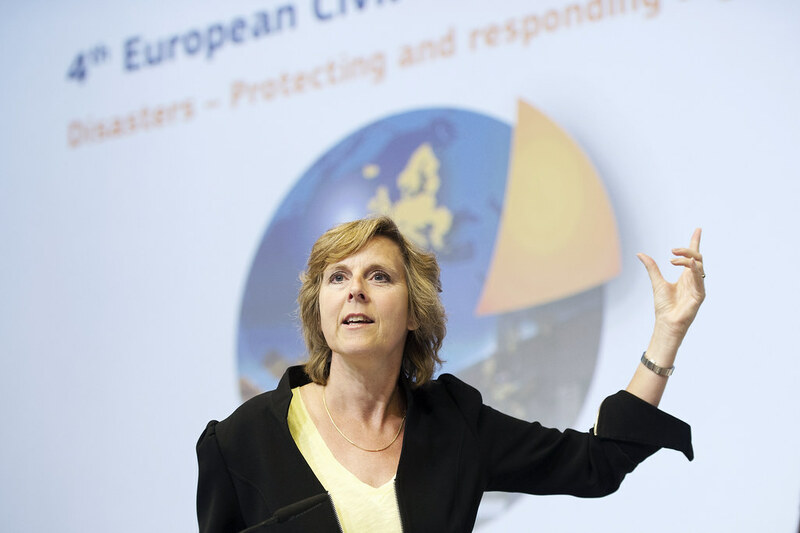 The Environmental Council and EU summits are responsible for preparing EU positions for international conferences and climate change negotiations. Under the first commitment period of the Kyoto Protocol, EU countries (EU-15) made a commitment to reduce greenhouse gas emissions across the EU by 8% from 1990 levels by 2012. For 2020, the EU has committed to cutting its emissions to 20% below 1990 levels. To respond to the challenges and investment needs related to climate change, the EU has agreed that 20% of its budget for 2014–2020 – as much as 180 billion euros – should be spent on combating climate change. To achieve this increase, mitigation and adaptation actions will be integrated into all major EU spending programs, in particular regional development, energy, transport, research, innovation and the common agricultural policy. 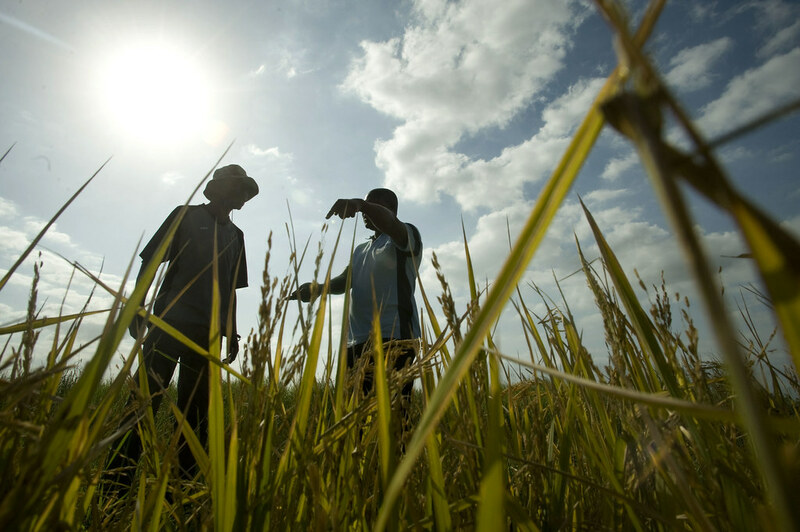 Additionally, the EU’s development policy will also contribute to increase adaptation in developing countries. In addition to the climate and energy package, the EU has other types of regulations in place that help it pursue the emission targets. In relation to climate change, there are regulations about common targets for emissions reduction, sustainable product policy, green public procurement, emission standards for passenger cars, renewable vehicle fuels, waste management and forestry. Key EU targets for 2030 include at least a 40% reduction in greenhouse gas emissions compared with 1990. Contributions are nationally determined and range from 0% to 40%. Additionally, a 27% renewable energy target is binding. The EU has set up a goal to cut greenhouse gas emissions by 80–90% by 2050. The European Commission low-carbon economy roadmap sets out a pathway to reach the minimum target of 80% by 2050. The Commission adopted the EU adaptation strategy in 2013, which aims to promote greater coordination and response to climate change locally, regionally, nationally and within the EU. We sometimes wonder what could a single country do to slow down and reverse climate change. In today’s global world a small country does not necessarily have a small carbon footprint. In addition to national climate change policy-making, one country can multiply its positive environmental impact by providing new energy efficient solutions for the rest of the world. This opens up opportunities to create new jobs and increase export income. Every country has opportunities and potential disadvantages from taking action on climate change mitigation. There is considerable cross-national variation in the patterns of adaptation and implementation of policies designed to mitigate climate change, which depend on life circumstances, international commitments, national laws, political structures and other political factors. For this very reason, this guide does not provide information about climate policies in individual countries. Instead, it encourages readers to find out about your country’s climate policies independently. Municipalities address climate change at the local level alongside their own projects and partnerships. Municipalities play an important role in climate change mitigation and adaptation as local communities and through the actions they take. Municipalities can make a big difference by switching to renewable energy sources, investing in energy efficiency of buildings, serving less meat in their food service operations and investing in environmental education. Regional planning is one of the most significant fields in which municipalities can cut their carbon emissions in the long run. Planning provides opportunities to increase the use of renewables, develop sustainable transport and sustainable urban structures. Many cities have set for themselves significant greenhouse gas emission reduction targets – often higher than that of their nations – and collaborate internationally to share experience and knowhow. 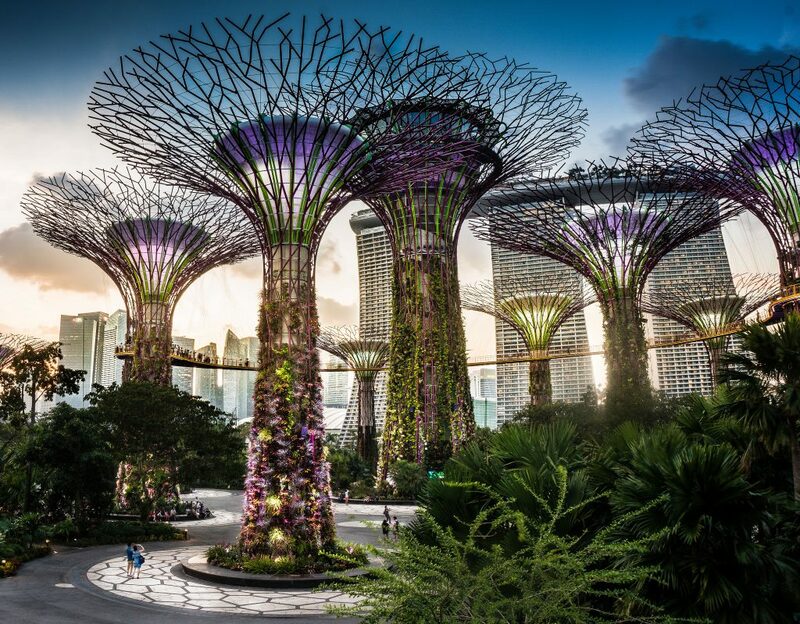 For example, C40 Cities Climate Leadership Group connects more than 80 big cities, and ICLEI – Local Governments for Sustainability is a leading global network of more than 1,500 cities, towns and regions committed to building a sustainable future. Also, the EU rewards green cities with the European Green Capital Award and has launched the Mayor’s Adapt network to promote climate change mitigation and adaptation at the local level. Although need for mitigation efforts has been urgent for years, relatively little has been done. This is partly due to inadequate knowledge about the economic benefits of carbon emission cuts. However, the biggest constraining factor has been a conflict of interest between the fossil fuel industry and those who are combating climate change. Although reducing greenhouse gas emissions would be technically possible, even relatively simple, it is not being done since the fossil fuel industry does not benefit from it. Often major emission cuts that would benefit society on a large scale are not implemented because it is expensive and offers only few immediate economic benefits. In addition, returns on investment will not necessarily benefit investors. However, there are various climate policy instruments that are used to promote a low-carbon future. They are typically categorized into economic, legal and voluntary agreements. Additionally, research, product development and education can also be climate policy instruments. They all have their pros and cons. The range of legal approaches to mitigate climate change include laws, regulations, directives, sector standards and other stipulations on greenhouse gas emissions. Legal instruments can help to implement large-scale regulations (for example, climate change laws) and more detailed plans to reduce emissions. Energy efficiency and emission standards for gadgets and buildings are legal requirements governing air pollutants released into the atmosphere. For example, emission standards that stipulate what is required of all new vehicles sold will decrease higher polluting cars on the road. They are effective tools for achieving specific goals. They ensure availability of environmentally friendly alternatives. Through legal requirements, producers have to meet at least the minimum environmental standards, which prevent handing over responsibility of climate-friendly choices to consumers alone. Not always cost-efficient. When developing regulations, it is not always known if producers are able to meet the stated goals. If the aim is too high, legal regulation can be a costly way to cut carbon emissions. They do not address increasing consumption. For example, a fuel-efficient car may encourage the consumer to drive more. Economic instruments play an important role in steering society towards ecological sustainability by developing regulations and incentives, such as taxes and subsidies. For example, carbon tax and subsidies for renewable energy are steps towards a low-carbon future. In energy industries, transport fuels could have a tax levied according to their carbon content. A carbon tax puts a price on a polluters’ negative climate and health effects. Putting a price tag on carbon makes burning fossil fuels more expensive and may reduce their use to optimal levels. 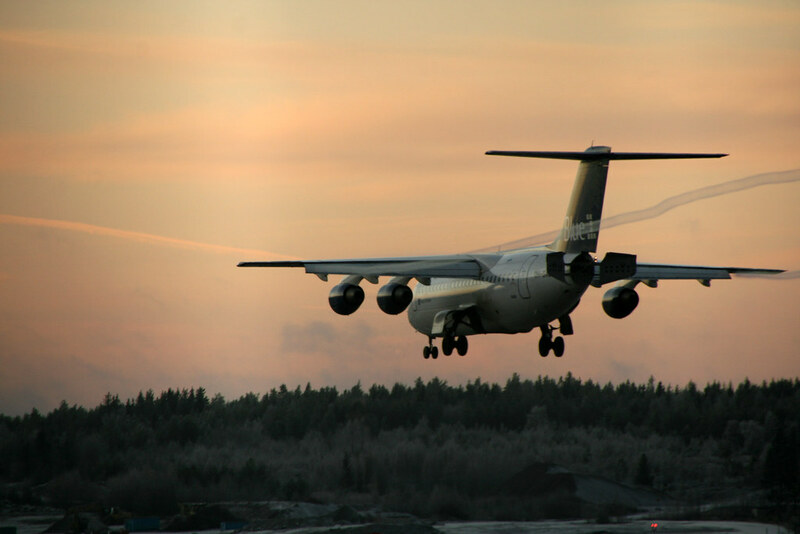 However, due to a number of problems, carbon taxes are not widely used, and for example, aviation and shipping fuels are globally tax-free. Although taxing is generally used as a policy instrument, environmental related taxes are not high enough to cover the negative impacts from emissions. Flexible tool to implement emission cuts. Consumers are free to decide if they want to pay more, reduce their energy consumption or buy renewable energy. Handy way to include the environmental impacts of fossil fuels and their social costs in energy prices. It is hard to predict accurately the environmental impact of energy production. The wrong level of tax will lead to the wrong level of production. This may result in more emissions, and the burden is then placed on the environment. Government subsidies can help to reduce carbon footprints. The government can, for instance, support renewable energy production by paying part of the investments needed for its development. Subsidies can also be economic incentives such as tax refunds for all who buy renewable electricity. Subsidised public transport is a great instrument to implement a low-carbon world, since it is hard to prevent motorisation if there are no sensible alternatives for driving. 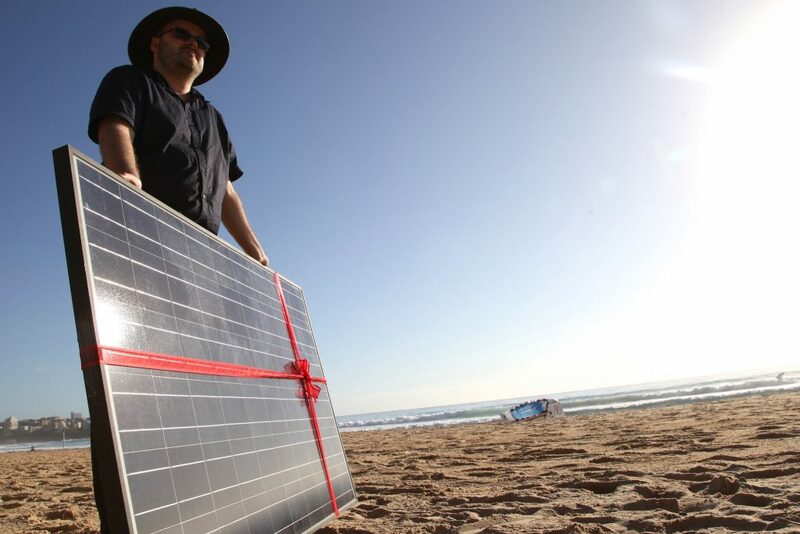 They improve alternative energy sources that cannot yet compete with traditional ones. They even out socially unjust consequences of emission cuts, such as a sudden rise in energy prices, particularly if they are not subsidised in other ways (taxes, income support and other benefits). They have typically low economic efficiency. Pollution can also be reduced through emissions trading. Polluters can buy and sell their permits to discharge specific quantities to each other once the annual emissions limit has been set and emission allowances have been allocated or auctioned. In the EU, active emissions traders are polluting industries. The European Union Emissions Trading system covers more than 11,000 industrial operators including electricity and district heating producers, the metal industry, the pulp and paper industry, the chemical industry, the aviation industry and the building material industry. The Kyoto Protocol also provides for emissions trading across nations. Emission trading is a market-based approach. Emission allowances put a price on pollution, which means emission cuts happen at the lowest possible cost. Each regulated polluter is free to choose whether to keep its emission levels in line with its allocation, reduce its emissions and sell its excess allowance to others, or increase its emissions and buy additional permits. Countries able to reduce emissions at a lower cost than buying additional permits can cut their carbon footprint. Emissions trading can be combined with carbon taxation. Regulators set price for pollution, at which, for instance, governments sell a limitless number of permits to polluters. A price floor serves as a tax. In fact, taxation and emissions trade suffer from similar problems. Due to political power structures and short-term financial benefits, it is difficult to make regulations tough enough. Politicians are often reluctant to raise taxes high enough or set emissions limits low enough, which turns economical risk into environmental risk. Environmentally predictable result since the emissions level is set beforehand. Risky for businesses since the average social cost of emission reduction is not known. If permits are significantly more expensive than expected, emission reduction may become more costly than the benefits gained. Problematic climate policy instrument since it is hard to set up emission allowances beforehand; for instance for the next 10 years. This may encourage cutting just investments with no change to the energy system. If emission allowances are very cheap, the scheme does not create economical incentives for emission cuts. Alongside taxation, subsidies and emissions trading, other climate policy instruments include investment subsidies, green certificates and feed-in tariffs, among others. Climate change is a challenge and its causes and consequences reach almost every corner of society. The previous chapter was about political actors and climate change mitigation and adaption tools. Politics can help to create ideal circumstances, economic incentives and general guidelines, but politicians cannot stop carbon pollution. That requires companies and municipal actors to develop and adopt new low-carbon technologies, tools and procedures. In addition, active citizens are needed to raise important issues. Interest representation or lobbying is an important method to attempt to influence climate politics. Lobbying refers to informal attempts to influence decision-makers and politicians and is practiced by many types of people and interest groups. Lobbyists meet representatives, such as politicians, civil servants, the media or representatives of conflicting interests about a project important to their interest group and try to convince the counterpart. They may represent corporations, consultancies, advocacy groups or non-governmental organizations. The downside of lobbying can be a lack of transparency; however interest representation is usually seen as an important part of the democratic process. Ideally, it can be a form of networking and knowledge exchange based on conversation, expertise and argumentation. Climate change impacts all of humanity, which means it touches us all in one way or another. Key stakeholders in climate change are environmental organizations, industries, farmers, labour markets, churches, indigenous people, youth and women, as well as any group of people. Because climate change is so radical and touches so many, it causes various conflicts of interest. Although climate change offers opportunities to some individuals, groups and business sectors, those who are currently in power in some societies have managed to slow down the shift towards new climate policies and action. They are the potential future losers. Seeing as climate change is such a large-scale problem, it is hard to categorize its various actors and their impacts without causing confusion. Political decisions have impacts on business practices, but also consumers and businessmen have impacts on politics. Industries pollute, but they are not fully responsible for their emissions since personal consumer choices are linked to greenhouse gases that services and commodities produce. In other words, politics, markets, technology and civil action are one intertwined entity with each sector contributing to carbon emissions and climate change mitigation. Today there are many organizations that aim to strengthen the chain between climate change scientists and active individuals and groups. For example, panels on climate change – both the Intergovernmental Panel on Climate Change (IPCC) and Climate Panel – have been working on this for years. They are dedicated to the task of providing decision-makers an objective scientific view of climate change and its political and economic impacts. Climate change and its politics have an effect on business. The business world plays an important role in climate change mitigation and adaptation. It enhances existing tools and methods and develops new ones. Roughly speaking, climate change has divided the business world into two camps: those that favour a traditional heavy industry-driven approach that promotes a “business as usual” philosophy, and those that adapt new approaches that see lucrative business opportunities in climate change mitigation. Although climate change has a significant impact on business operations, only a few businesses have taken steps towards appropriate solutions, which could boost their value for customers, investors and the environment. The old-fashioned business people often oppose climate change mitigation and stricter regulatory approaches (like eco tax), since they would have to give up their privileges. The change would pose a threat to the oil industry and other energy-intense industries along with numerous actors linked to them. Forward-thinking businesses will benefit from climate change. For them, clear, even strict regulations provide much needed stability. Regulations would also open up new opportunities for business interests through climate change mitigation. Changes in consumer behaviour i.e. increasing interest in environmental issues, are linked to an increase in sustainable business models. Some companies even consider an environmentally friendly business model important to their recruitment process and their employees’ wellbeing. In addition, high global growth of clean tech companies increases the number of businesses gaining advantage through climate change and developing new ways to do business. The driving force behind sustainable companies is not necessarily the urge to save the world but to establish a profitable business. Future success stories are likely to come from those companies currently taking steps towards a low-carbon economy. Often sustainable businesses are industries with growth and export potential. 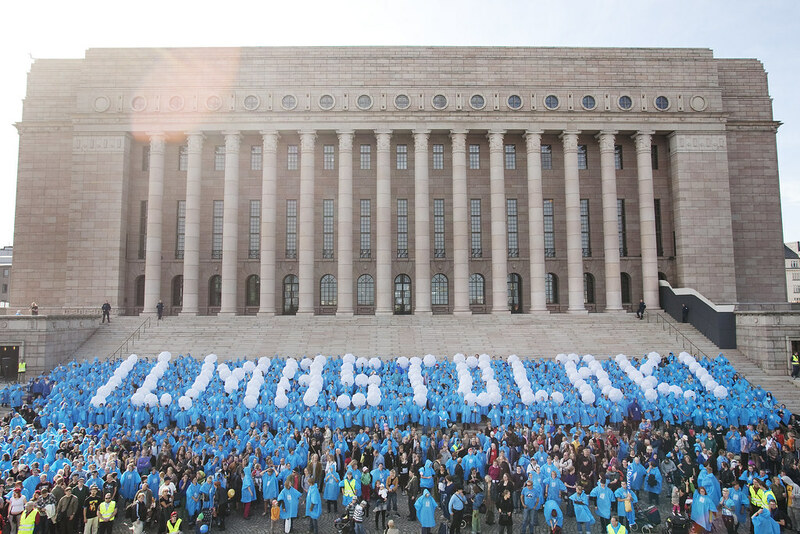 In 2014, Finland had over 3,000 businesses providing climate change solutions. Cutting carbon emissions requires a radical change of attitude among business executives. Although only a few businesses have adopted ambitious climate strategies to cut emissions and achieve a zero-carbon target, more and more companies have integrated sustainability standards within their overall business strategy. Politicians and civil servants participate in climate change negotiations both at the national and international level. 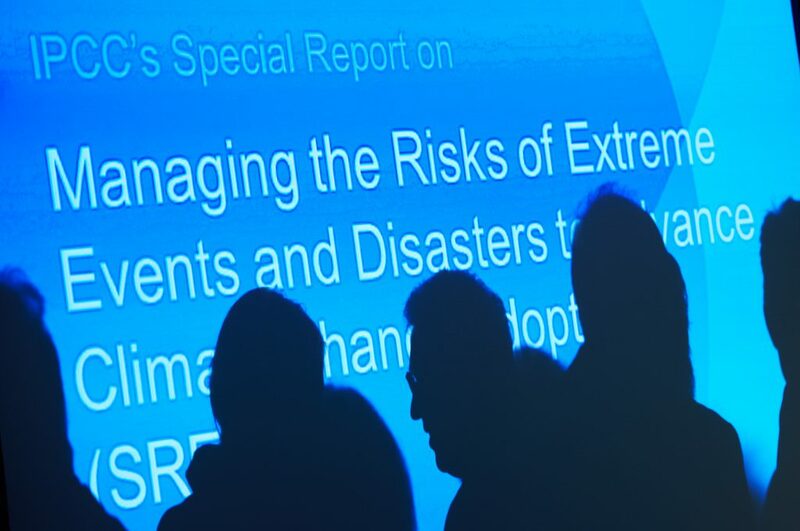 Negotiations and drafts for climate change agreements and legislation are based on scientific studies; however civil society is also vital in order to drive momentum in policy-making concerning climate change. As with all important social issues, different organizations, businesses, civil activists and other actors play an important role in raising awareness on climate change. For decades, non-governmental organizations have been acting and campaigning on climate issues. They aim to facilitate dialogue on important themes, raise public and political awareness on climate change, change regulations and legislations, and develop and bring to fruition new climate-friendly approaches. NGO campaign groups have been particularly active before important climate change events. For instance, Friends of the Earth’s “Big Ask” campaign put pressure on politicians by calling for a new climate change bill which resulted in a new climate law passed in the UK and Finland. Major international non-governmental organizations working on climate change are Greenpeace, the World Wide Fund for Nature and Friends of the Earth. Additionally, every country has its own local environmental organizations. 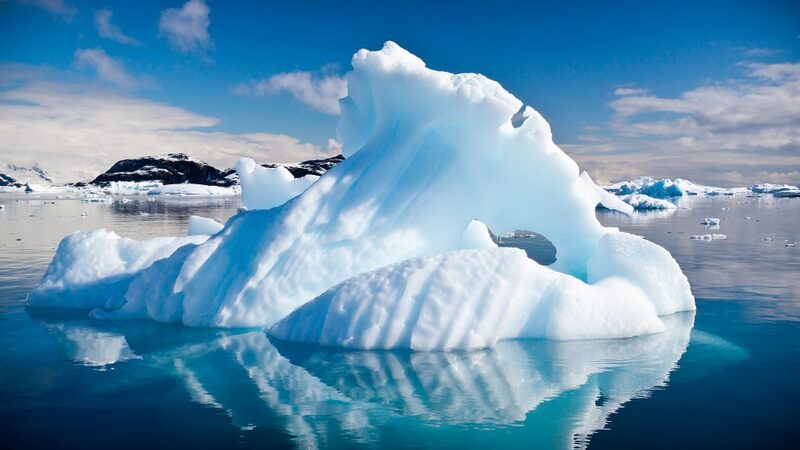 Climate change affects the market economy in many ways, and the global market economy has an impact on the severity of global warming in the future. The next chapter discusses the relationship between climate change and the global economy. The economic system is defined as a mechanism that deals with production, distribution and consumption of goods and services within a society. It includes a combination of different agents, institutions and their relations. Typically, economic systems are theories, which act as multiple components to various economic systems in different countries. Today the dominant form of economic organization at the world level is based on market-oriented mixed economies with features from both capitalism (private ownership and market mechanism) and socialism (public ownership and public services funded through taxation). Laws create a framework for the economy and regulate market mechanisms. Economics is a social science focusing on economic phenomena. According to the current dominating neoclassical economics, incentives and maximising profit are the driving forces of behaviour and interactions of economic agents. Thus the ideas presented in this text reflect these dominating trends in today’s global economy. From an economics point of view, climate change can be seen as a “market failure” due to the lack of political will to put a price tag on carbon emissions. Because the cost of emitting greenhouse gases has not fallen on those who are conducting polluting activities, carbon dioxide and other emissions have not been priced into transactions. Therefore, businesses and consumers have not had strong enough economic incentives to reduce their emissions. Thus most of the impacts of emissions – such as natural disasters, a side effect related to economically valuable activities – cause economic loss globally and particularly to people in developing countries, who are not the ones who have contributed to polluting on a large scale. Gross domestic product (GDP), used since the 1930’s, is a measure of the estimated amount of domestic production and economic performance in a national economy. GDP describes the scale of economic performance and its changes in a country or region. The size of the global economy can be measured by combining the GDP of all countries. This method includes all the economic activity within the financial economy. GDP is often used to measure wellbeing; however it can be debated whether or not this is a correct measure, since GDP per capita as an indicator only takes into account the factors within the scope of economic value. It does not take into account things like unpaid domestic work or the value of a subsistence economy, ecosystem services, natural diversity, quality of life or life losses. In addition, countries with a high GDP can cause harm to people, the environment and climate without having this damage included in the GDP. It is a highly problematic phenomenon that GDP is considered such a central indicator of wellbeing since it only describes the criteria it measures, not external factors. So far, no one has managed to develop a more widely used, less limited alternative measure for assessing quality of life. Bhutan, a small country tucked in the Himalayan mountains, is an exception to the rule It measures prosperity through formal principles of gross national happiness (GNH). This includes many variants, such as health, education, living standards, environment, cultural diversity and psychological wellbeing. Before long, climate change will affect GDP too. It is likely that the impacts will be expressed in monetary as well as non-monetary terms. It is challenging to predict climate change impacts on the world economy in the long run, since it would require precise geographical information, a greater understanding of natural systems, social and scientific development and the market transactions affecting them in the future. Furthermore, it is not easy to convert all the costs into numbers. Nevertheless, it is clear that climate change will impact the world economy in many ways. Future emissions affect the scale and volume of climate change. Both mitigation and adaptation are essential to reduce global costs. Some of the impacts might even be positive although it has been estimated that the negative impacts will outweigh them eventually. Counting the future costs of climate change is quite a challenge. Scientists have to make subjective value judgements over the importance of impacts occurring today and in the future. Therefore the quantitative estimates are usually only approximate. Generally speaking, climate change poses the biggest threat to the economies situated in the coastal regions or close to rivers prone to flooding. As well, one-sided economies and areas dependent on agriculture, forestry and tourism will suffer from changing climate most. Additionally, urbanisation of coasts and other vulnerable areas increases risks and costs of weather-related natural disasters. Countries like Finland that will not necessarily face the most direct and severe impacts of climate change may be indirectly affected through economic exports, climate refugees and radical changes in global politics. Agriculture and food supply will suffer. Increasing storms will destroy infrastructures. 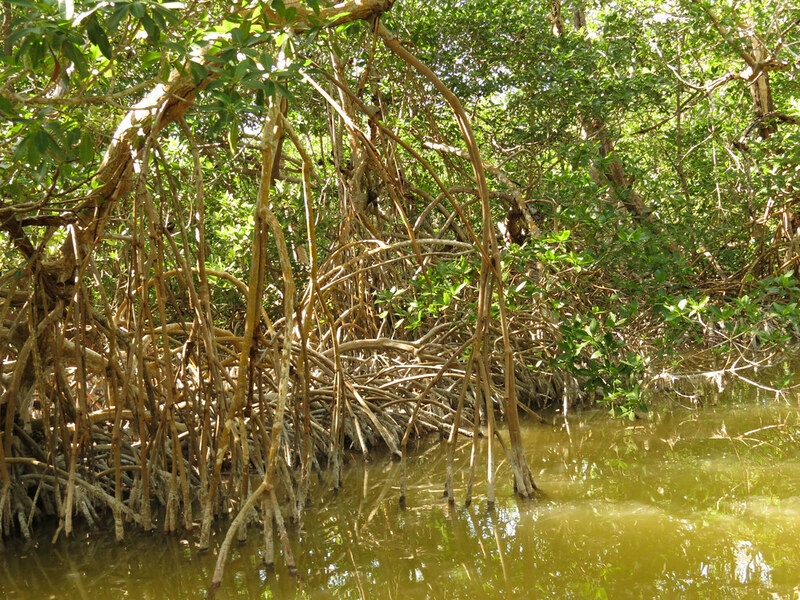 Sea level rise will threaten coastal regions. Increasing temperatures can interrupt energy supplies and generation as well as damage transportation infrastructures. 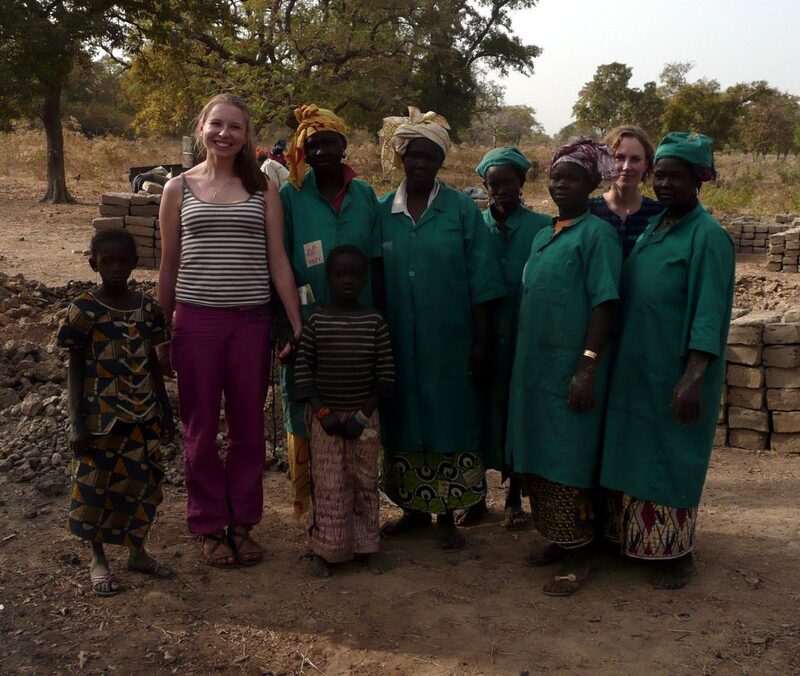 The struggle against poverty gets more difficult in developing countries. Besides the direct impacts, such as sea level rise and extreme weather, climate change amplifies other problems, such as reducing natural diversity and increasing the number of infectious diseases. For that reason climate change is often being described as a “threat multiplier”. Risk management is an essential part of any economical activity and therefore it is not surprising that investors and other actors have taken an interest in climate change. For example, insurance practitioners analyse different risks including changing climate. Insurance is a form of risk management both for individuals and companies to protect the insurer from an unexpected loss. Setting risk-adequate prices and conditions pose challenges to the insurance sector. Environmental change brings uncertainty and ambiguity and the traditional way of relying on statistics and historical models is not as reliable as it once was. Therefore, insurance companies have to increasingly rely on scientific models of climate change. In particular, challenges in forecasting local weather make risk analysis difficult. Large insurance companies have kept track of climate change since the 1980’s. In 2004, the insurance industry received a severe wake up call when several storms increased the sum of damages paid out for insured property. For example, American company Allstate suffered a financial blow of two billion USD, equivalent to the entire profit the company had made in Florida since 1992. According to Allstate, climate change will hit the area even harder in the future; therefore it decided not to take on any new homeowner risk anywhere in the state of Florida. Due to the additional financial losses in 2005, Allstate did not renew over 100,000 expiring policies, raised their rates all across the USA and eventually pulled out of less risky markets altogether. Climate change already has an expanding impact on the financial sector. For example, there is a growing demand and increasing funding for clean tech solutions. In addition to investments in private companies and a shift in investment criteria, climate change also affects a country’s risk rankings. Increasingly, investors assess, or at least consider, carbon risk when evaluating how the potential impact of climate change will play out on their investments alongside economical and political risks. Carbon risk refers to climate change-related risks and economical risks linked to a major rise or decline in the price of oil. Carbon risk assessment has already reduced investment in the fossil fuel sector. Although this is a significant trend shift in the investment world, the effects of this change will not happen overnight. The so-called divestment movement encourages investors, such as private foundations, pension funds, universities and religious organizations to abandon fossil fuel investments altogether and invest in fossil-free technologies instead. Hundreds of groups have already done so, but the movement is still relatively small-scale and its impacts are not directly obvious on the financial market. However, avoiding carbon risk and investing in a sustainable future instead of backing polluting operations can be economically profitable in the long run. In addition, pulling out of fossil fuel investments amplifies the stigmatisation of fossil fuel companies. Is Economic Growth possible in a World affected by Climate Change? One of the most crucial questions related to climate change mitigation concerns the relationship between climate change and economic growth. Is mitigation possible in a world obsessed with economic expansion? The large scale and complexity of the topic poses challenges for scientists; however, it has gained considerable public attention since 1972 when the Club of Rome published its controversial report The Limits to Growth. This report postulates that world population and economics do not grow at the same pace, and in order to solve environmental problems, we need to change our approach profoundly. A more recent report on the topic is the Stern Review released in 2006. This report seeks to discuss and forecast extensively the effects of global warming on the world economy. According to the review, the overall costs of climate change on agriculture, infrastructure and coastal regions could cause a 20% permanent loss of global gross domestic product (GDP). The losses would be mean a deep and long-lasting recession; however, the specific impacts would depend on the level of global emissions and climate change mitigation. According to a currently dominant idea, it is possible to enjoy a high standard of living and mitigate climate change at the same time by shifting to a green economy. However, seeking sustainable economic growth is not simple due to the so-called rebound effect, meaning efficient resource use does not necessarily reduce the rate of consumption. In economics, the phenomenon is known as the Jevons Paradox, which occurs when technological progress increases the efficiency of resource use but in the medium and long run, the rate of resource consumption rises instead falls. In any case, a low-carbon or carbon neutral economy is the only way to hold global warming below 2 degrees Celsius, which is the target set by IPCC to avoid uncontrollable and catastrophic climate change. The relationship between rising global CO2 emissions, climate change consequences, and economic growth is often looked at through three different development paths or scenarios. Each path describes a world with a different size carbon footprint. It may refer only to economic conditions or the situation in society in general, such as the concepts of “low-carbon economy” and “low-carbon society”. The latter encompasses all the actions and actors in society – not just the business and public sectors, but also consumers and civil society. None of these concepts are well established, so they might refer to different things depending on the context. A zero-carbon economy seeks to achieve net zero emissions by balancing a measured amount of carbon released with an equivalent amount sequestrated. In other words, human activities neither contribute nor reduce the amount of carbon into the atmosphere. According to a narrow definition, carbon neutrality refers to reducing or balancing the collective carbon footprint to zero, but often the concept is extended to include other greenhouse gases. In this context the term “climate neutral” is widely used. A zero-carbon economy releases only small amounts of carbon dioxide emissions, which are compensated by carbon offsetting. Since it is nearly impossible to reduce carbon emissions to zero, the groups and companies calling themselves “climate neutral” have adopted carbon offset schemes i.e. they invest in environmental projects around the world to balance out their own carbon footprints. However, this would not work in a 100% zero-carbon economy since there would be nothing to compensate. In many countries, a zero-carbon economy is a long-term goal. However, in fact, most of these plans and actions aim more towards a low-carbon economy. In order to achieve a carbon neutral economy, there are plenty of technical and economic hurdles, but the biggest challenges are social and political. The scale of climate change is still not properly understood and plans of action to combat it are not typically adequately far-reaching. A shift to a low-carbon economy is a less ambitious goal than achieving a 100% zero-carbon economy, but it too requires a great deal of effort. In a low-carbon economy, use of fossil fuels is minimized and the amount of greenhouse gas emissions is considerably smaller than at present. For example, the EU’s target for a low-carbon economy is to cut by 80% their member state’s greenhouse gas emissions by 2050. A low-carbon economy seeks intelligent, sustainable and inclusive economic growth. This kind of economy would be eco-efficient at all levels, and this goal can be achieved only through mitigation efforts at all levels of society. Therefore it is important to identify the major emission contributors in order to centralize mitigation. Changes and actions required for building a low-carbon economy vary from country to country. Case in point, most of Finland’s greenhouse gas emissions are generated by energy production, housing, construction and transportation. 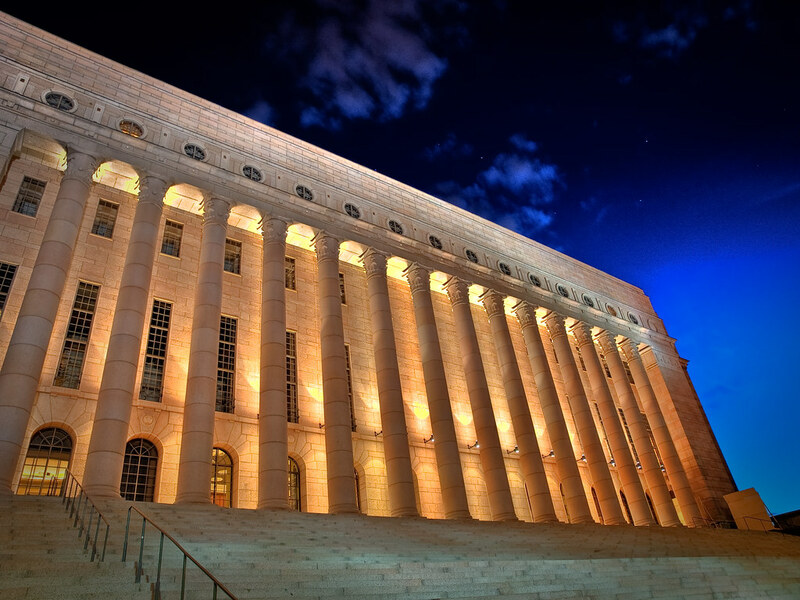 Food production and consumption as well are linked to climate measures being taken in Finland. A low-carbon economy uses developed, closed-loop systems in which by-products or nutrients from production processes can be fed back into the production cycle. Closed loops are a form of circular economy, meaning materials and their value are circulated and extra value is added by creating different services or intelligent systems. A circular economy reduces waste by designing materials and products to fit within a material cycle, so that they can easily be dissembled and used for a different purpose, even when they reach the end of their lifecycle. Closed-loop systems can, for example, refer to innovative maintenance concepts, leasing of products or replacing chemical fertilizers with those that are organic and waste-based. The business-as-usual path is based on a false idea of the world remaining unchanged. 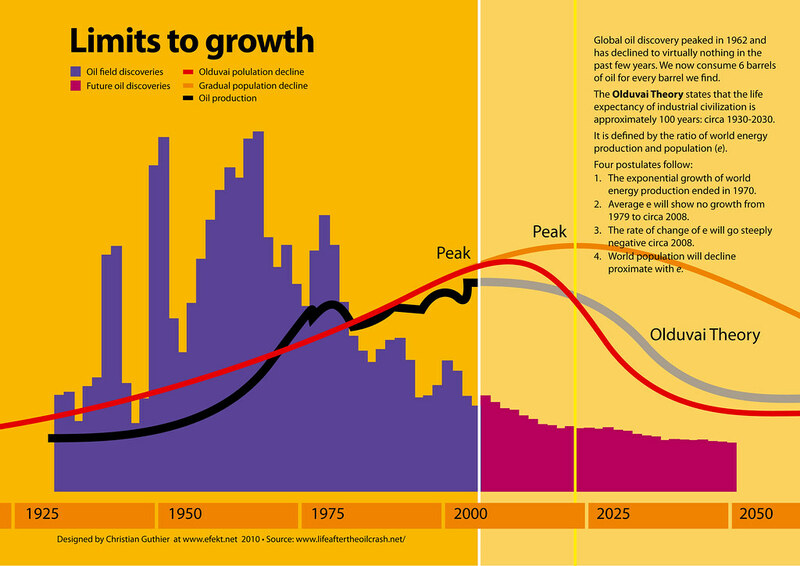 This model uses fossil fuels at the same rate as it has since the turn of the century. Furthermore, it does not take climate issues into account regarding investments or decision-making and measures economic growth according to the same old principles. However, it is not possible to maintain our current level of wellbeing by relying on this model in light of the fact that the world population, general income, consumption, consumption of animal protein, urbanization and migration are globally increasing. 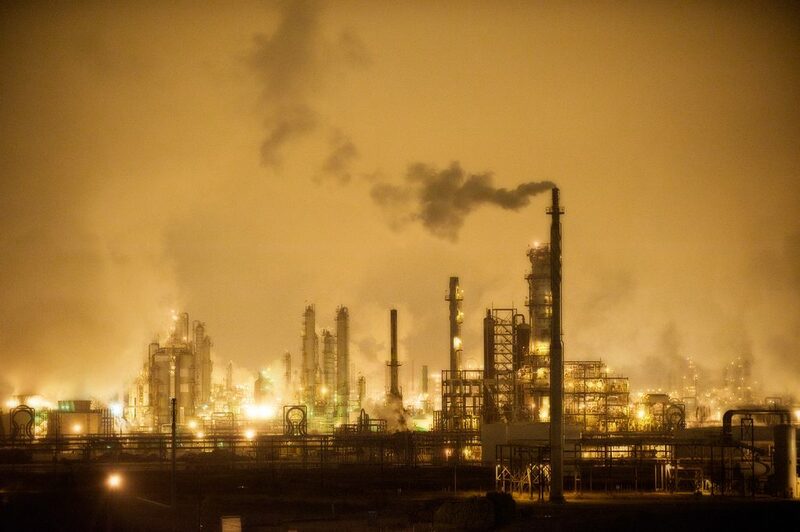 Although some representatives of the oil and other energy-intensive industries would like to continue to embrace the business-as-usual model and thus slow down – or even oppose –climate change mitigation and regulations, this trend is, generally speaking, over. With the Paris Agreement most countries have agreed to move towards a low-carbon or even zero-carbon economy. Climate change impacts vary from place to place. Water shortages, droughts and infectious diseases will likely hit vulnerable and marginalized people and groups hardest. This poses challenges to implementing global justice and the fundamental values as stated in the Universal Declaration of Human Rights. Achieving climate justice requires human rights to become a reality in a world changed by global warming. We have already seen examples of conflicts caused by climate change. For example, severe drought helped to spark the Syrian Civil War. Human-induced drying aggravated poverty among local farmers and forced many families to migrate to cities, where dissatisfaction with the government caused armed conflicts. The consequences are still felt all over the world and they go to show the complexity of climate change mechanisms. The international community has adopted a series of fundamental human rights, which aim to guarantee a dignified existence for all human beings in all circumstances. Because of climate change, people die from increasing storms, droughts and heat waves. In addition, various diseases are likely to spread and food production is at risk due to water shortages and pests. 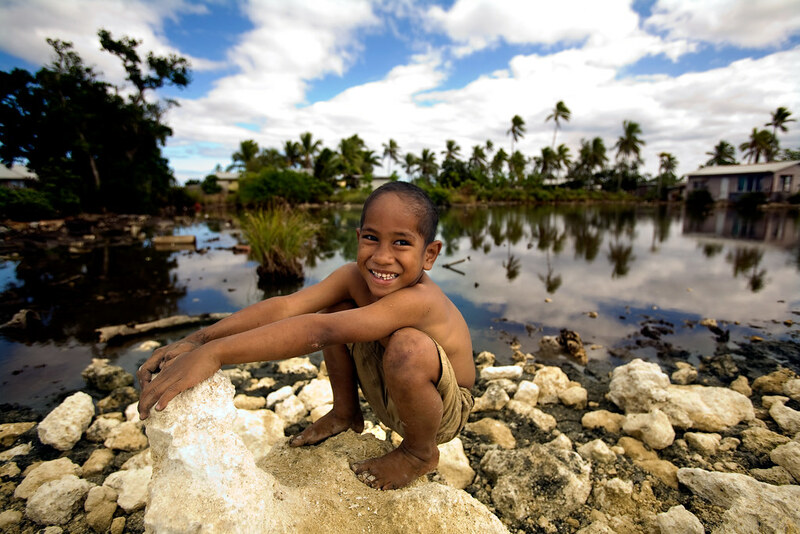 Climate change poses challenges to fundamental human rights becoming a reality. According to the UN at least the following human rights are at risk due to changing climate: self-determination, right to life, development, food, water, sanitation, health, housing, education and culture. The negative impacts of climate change are disproportionately borne by persons and communities already in disadvantageous situations owing to social, economic or political reasons, among others. This concerns particularly people in developing countries who cannot afford to adjust to a changing climate. 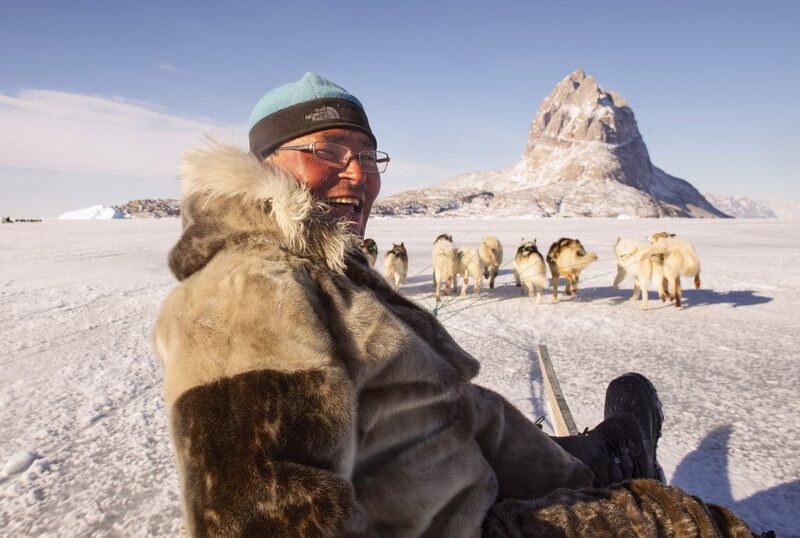 As well, indigenous people are vulnerable to climate change due to their dependence upon and close relationship with the environment and its resources. Some mitigation measures may even have undesirable consequences for the human rights of indigenous communities; for example, if they are forced to flee from their homes due to the building of renewable energy power stations. In addition, the human rights of future generations will be at risk without prompt mitigation efforts. In other words, in order to achieve global human rights, large-scale mitigation efforts are necessary at all levels of society. Everyday life looks different in different countries. People around the world have caused and are causing varying amounts of greenhouse gas emissions and therefore the impacts of climate change differ greatly from place to place. Who has caused climate change and who suffers most from it are the central questions of climate justice. Examining global justice with international justice may help to understand the concept. International justice puts an emphasis on a righteous and legal cooperation between nations. Global justice is a much wider concept than international justice. It seeks to answer to the following questions: What kind of duties regarding justice, if any, exist among human beings who do not reside in the same country, and if there are such duties, what grounds them? What are the central issues of global justice? What kind of solutions are there? Who are responsible in finding solutions? What are the roles of different agents in tackling the problem? How should the problem be solved? The most prominent global justice issues debated are the ones related to global economics, gender equality, immigration, environment and global health. These are challenging but important questions to contemplate now, when we can still act on climate change. The term “ecological debt” can help us to understand the concept of climate justice. Today, we use more ecological resources and services than nature can regenerate. Outstripped ecological carrying capacity is due to increasing consumption in wealthy nations. Historically, the world’s richest countries have been the highest emitters and today they produce half of all annual emissions, although they account for only one fifth of the world’s population. Production, pollution and over-extraction of natural resources cause environmental problems in poor countries, and they pay the highest price for our excessive Western lifestyle. The least developed countries contain one tenth of the world’s population and even so they cause less than one percentage of the global emissions. Considering this fact, a term known as the North’s ecological debt to the South has emerged. Due to the rapid population growth and industrialization of developing countries, their share of emissions is increasing, and it is estimated that in 2025 they will produce almost half of the global emissions. At the same time, emissions are on the rise in many industrial countries. Climate change causing food and water shortages could lead to conflicts, even wars. In addition, many people are forced to flee their normal habitats; for example, when their home island has disappeared under water. This means they have to find new places to live and consequentially become climate change refugees. Small island nations are among the most vulnerable to climate change impacts, but also India and many African countries are at risk. In these countries, sea level rise, crop and water shortage due to droughts and the spreading of infectious diseases are causing massive challenges. The developing countries are less equipped to cope with climate change, and it is likely that tackling poverty there becomes even more difficult. 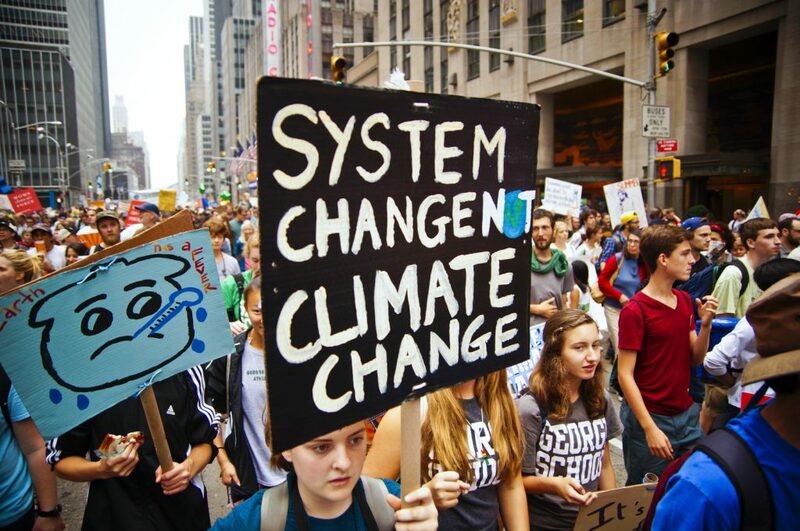 Students work in small groups and find out about climate change activists in different fields of society (for example, in international or local politics, non-governmental organizations, science, the business world, popular culture). Each group chooses an activist they find most inspiring and creates a poster about her/him. Student working groups interview people who work on issues and topics related to climate change. They could ask some of the following questions: What kind of engagement methods do you use? What kind of difference have you made through your work? How does the future of your work look like? Alternatively, students could invite the climate change adaption coordinator from your municipality to present local climate change strategies and answer the questions. 1) What is on its agenda? 2) What engagement methods does the organization use to achieve its goals? 3) Does it have a climate change strategy? What does that consist of? 4) How can one get involved? Find information about your municipality’s greenhouse gas emissions. What are the main polluters? Is there an action plan to cut emissions? What could be the most efficient methods to cut carbon emissions in your municipality? 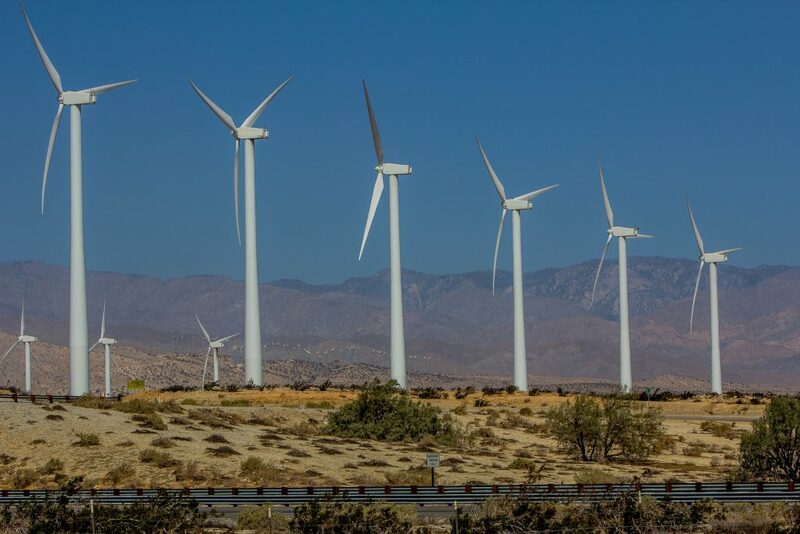 Are there plans to increase the share of renewable energy sources (wind power, solar power)? Discuss how to make a difference and how to address climate change at the municipal level. Choose a case for sustainable development in your municipality according to the area of your interest and take action on a practical level such as lobbying decision-makers, launching citizens’ initiatives, writing letters to editor and submitting them to your local newspaper etc. a) Action leads to significant emission cuts all over the world. b) Action leads to significant emission cuts in different sectors in your country. c) Action leads to significant emission cuts in one or more sectors in your country. d) Action leads to significant emission cuts in your municipality. e) Action leads to significant emission cuts in the company. f) Action leads to significant and permanent emission cuts in the household. g) Action leads to significant and permanent emission cuts in an individual’s daily life. h) Action leads to small but permanent emission cuts in an individual’s daily life. i) Action leads to significant but temporary emission cuts in an individual’s daily life. Watch the video Shorter Showers: Why Personal Change does not Equal Political Change (2015). Find the main points and discuss in small groups the thoughts it provokes. Do you agree or disagree? Rhizophora mangle. Celestún Biosphere Reserve, Yucatán, México. Forgot to switch my camera to ISO 100, so it's kinda noisy. 🙁 I should program camera presets for tripod shooting. 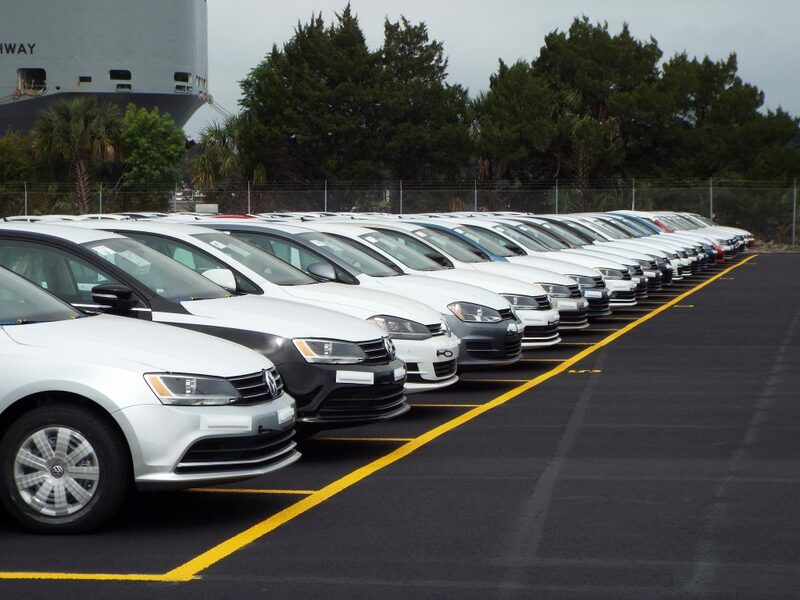 JAXPORT began service as Volkswagen’s Southeastern U.S. distribution hub today as nearly 1,000 new VW Jettas, Beetles and Golfs rolled off the Chesapeake Highway. The cars, which were produced at VW's Puebla, Mexico factory, will be processed by AMPORTS before being transported to dealerships around the region. Gov. Scott was on hand at AMPORTS in February to announce VW’s selection of Jacksonville as its distribution center in this region. To change everything we need everyone. These people were taking part in the world's biggest weekend of climate change activism in modern history. 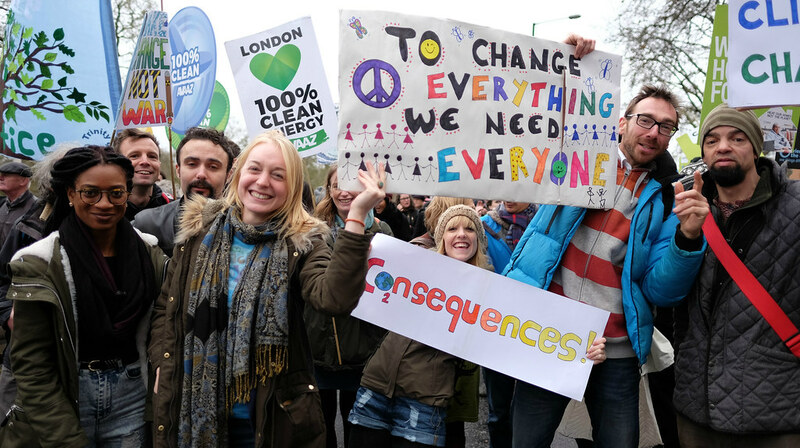 Here on London's Climate Change march and holding a banner declaring "To change everything - we need everyone." The march in London on 29 November was held as part of a series of rallies worldwide prior to the Paris climate change talks. Activists want decisive action to limit the rise in average global temperature to 2 degrees celcius above pre-industrial levels. Miguel Francisco Gonca, 53, left talks to Sebastian Ferro, the agriculture supervisor from project partner Regadio De Baixo Limpopo (RBL) his rice plot which is almost ready to harvest. He has been farming in the area since the 1980s. He says "Conditions have gotten a lot better for farming since the project started". He is an emerging farmer working on the BAIXO LIMPOPO IRRIGATION AND CLIMATE RESILIENCE PROJECT (BLICRP) with help from the CIF, the climate investement fund. The African Development Bank is working with the Climate Investment Funds' Pilot Program for Climate Resilience in southern Mozambique. Together with the Mozambiquan government and the World Bank, the Baixo Limpopo Irrigation and Climate Resilience Project (BLICRP) is trying to bring better climate change resilience to this area. Southern Africa is facing almost twice the denger of the rest of the planet from Climate Change, and programs like this one are being developed to help mitigate and control flood and drought damage near the provincial capital of Xai Xai and further afield. As of January 2008, the farm consists of 3,218 units delivering 615 MW. it is one of three major wind farms in California.